Acoustic Guitar Tops – Technology. Ladder, X and Fan bracing were the only bracing patterns for guitar tops that I was aware of until recently. But in researching classical guitars I discovered a wide range of construction designs used to effect tone and reinforce the strength of guitar tops. Guitar players, myself included, usually don’t care much about how a guitar is built. My first concern is how it sounds. My second concern is how it feels which can cover everything from weight and size to the feel of the frets. How the car looks – appearance – might be of interest too. But stuff that isn’t visible is way down the list. The technology I’m reviewing today affects tone but because it’s subjective our concern may be “yeah, I like that,” or ugh! In spite of this, I find the different approaches that have been used to improve the sound and volume of acoustic guitars to be fascinating (or at least mildly interesting). The basic physics of a guitar are that the strings are attached to the head and body such that the vibrations move the top. Vibrations equals sound and the amount, type and location of the vibrating wood and air affects tone and volume. Beyond this, the physics quickly become more complicated than I can easily understand. The “break angles” of the strings over the nut and saddle affect force and sound. The location of the saddle on the top affects sound. Guitarists and guitar builders argue over the effect of a traditional dovetail, glued in neck compared to a modern mortise and tenon bolt on neck – though I think the success of Taylor guitars has reduced this debate to nonsense. Ladder Bracing. The bracing for the top isn’t one of the things I normally consider. Until recently I was vaguely aware of three major types of guitar top bracing. My first Gibson acoustic had ladder bracing. I associated this with cheap guitars. Some guitarists associate ladder bracing with the sound of early acoustic blues guitar – and those guitarists tended to have inexpensive guitars. X-Bracing. My Martin acoustic has “X” bracing. Two major wood braces run from the lower bout to the upper bout on the opposite side. They cross just below the sound hole. Asymmetric brace placement on the lower bout and smaller braces complete the top reinforcement. Martin has a number of variations including the “A” frame X. Taylor and other builders all have their own interpretation of these bracing patterns but most are still a form of “X” bracing. Archtop guitars can also be braced with ladder or X bracing techniques. Archtop guitars with carved solid tops have greater strength than flattop guitars and the bracing of these guitars, although it helps with the strength is probably just as important to tone. Fan Bracing. The last type of bracing I had been aware of was fan bracing. Fan bracing is used in classical guitars but was found to not be sturdy enough for steel strings. Until a few weeks ago, that was the extent of my knowledge. Here’s what else I’ve learned. The above image of fan bracing is similar to the bracing used by Torres. Torres wasn’t the first to use fan bracing but his designs were much copied. One of the features of his fan bracing is the symmetry between the bass and treble sides of the guitar. However some builders found an asymmetric bracing pattern gave stronger bass and fewer dull/dead notes. Jose Ramirez (who made the guitars Segovia played at the end of his career) introduced the asymmetric variation on fan bracing. The lower longitudinal braces are shorter on the treble side and longer on the bass side. A long cross piece runs from the lower bout on the bass side to the upper bout on the treble side. An excellent review of classical guitar bracing styles can be found Classical Guitar Canada. Radial Bracing. Another bracing pattern was patented by Michael Kasha. Others have also made variations on this theme. The fan braces radiate from an area beneath the bridge. I don’t think this was very successful in terms of acceptance or maybe the resulting sound. Most references I’ve found to it are historical. I have not found current luthiers who indicate they are using this bracing design. 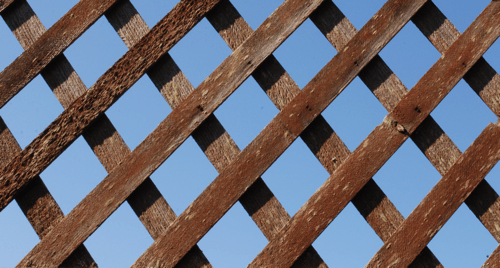 Lattice Bracing. The next variation on bracing was lattice bracing introduced by Greg Smallman. This seems like a radically different type of bracing pattern than fan or other guitar bracing. The lattices can be made from carbon fiber to reduce weight. The object is a louder guitar and this bracing allows thinner tops which are louder. However, not everyone likes the tone. It is louder but to some, doesn’t sound enough like standard classical guitars. There have been variations on Smallman’s bracing designs to address some of the perceived problems. One of the interesting things I discovered is that Cordoba Guitars makes lattice braced guitar for under $2000. The Cordoba C12 model (part of their Luthier collection) has a solid Cedar or Spruce top, solid rosewood back and sides and uses lattice bracing on the top. Cordoba C12 has lattice bracing. Solid cedar or spruce top, solid Indian Rosewood back and sides. Double Tops. Double tops are another way to make a thinner topped guitar which is presumably louder. The material used to brace the top is sandwiched between to pieces of wood to reinforce the resulting top. Although any form of bracing could be used, the most popular has been to use a material called Nomex. Nomex is an invention of DuPont 1 known for heat and flame resistant properties. But it has also been used by luthiers as the thin but strong sandwich material in double top guitar construction. Here’s a video giving some history and construction details. It’s aimed at luthiers but you might be interested in the history and maybe the construction techniques. See more images of guitar bracing at my Pinterest Board “Guitar Tops and Bracing Designs“. Disclosure: I am a former DuPont Scientist – good times.